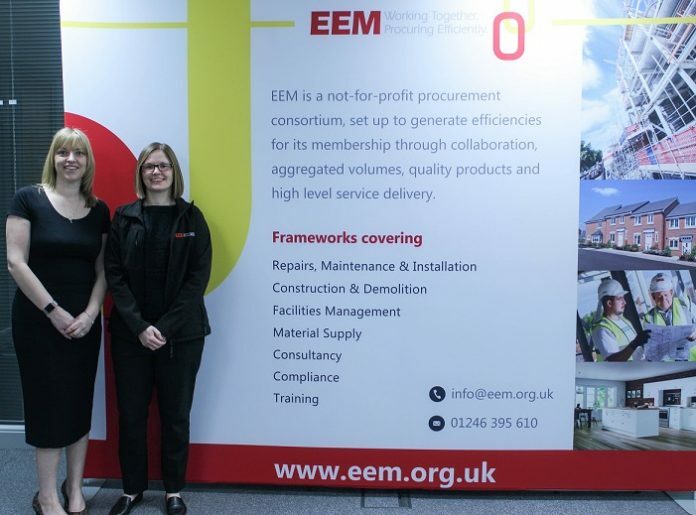 L-R: Lindsey Hobson, business development manager at J Tomlinson, and Louisa Payne, projects officer at EEM. The Nottingham-based company has been appointed to lot two (Hard FM) of the Efficiency East Midlands (EEM) Facilities Management Framework after ranking in first place in two regional sublots with a score of 100%. The four-year agreement confirms that J Tomlinson is first choice to deliver hard FM services to EEM members, with the scope of works including plumbing, heating, fire detection, mechanical and electrical, systems maintenance, electrical testing and lighting protection.